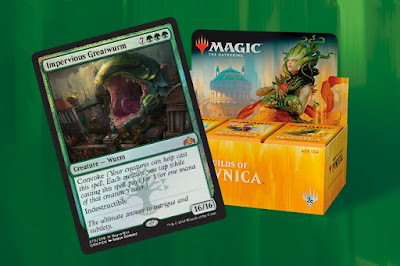 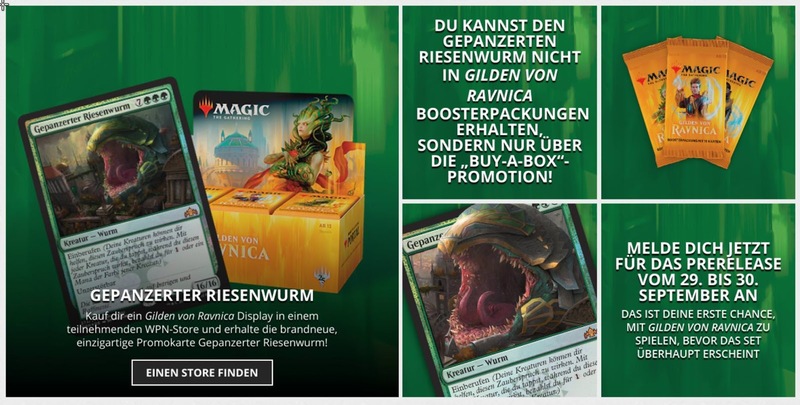 Although official Magic: the Gathering previews are still some time away for the next set, Guilds of Ravnica, there was an unintended release of the Buy-A-Box promo earlier today on the Wizards of the Coast website. 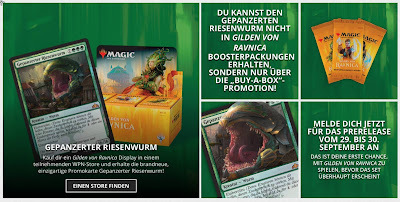 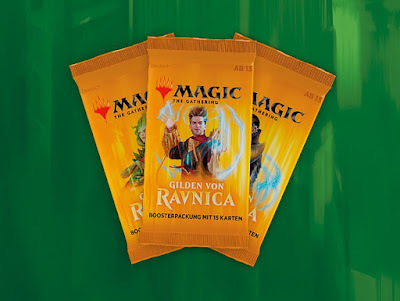 It appears that portions of the German language Guilds of Ravnica product splash page was accidentally promoted and incorporated into the existing Dominaria product page. 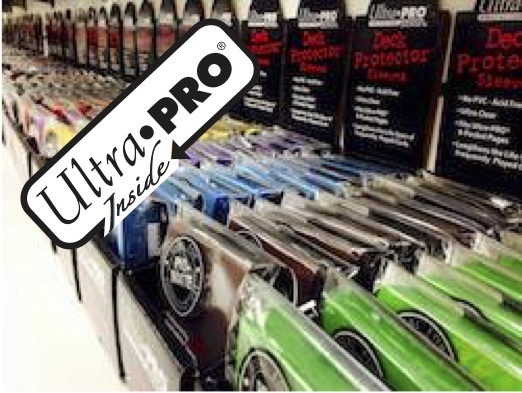 The ultimate answer to intrigue and subtlety. While some MTG gaming fans may be convinced that the Convoke mechanic found on this buy-a-box promo may be returning with Guilds of Ravnica, this is certainly not a guarantee at this point until official previews start revealing other cards.